Macleod Island Tour "The hidden heaven." 804 Islands of Myanmar, they are called Mergui Archipelago. And the Macleod Island is the center of those 804 Islands Tourism. The Macleod is located in the heart center of the archipelago. And the Macleod Island only has the nice resort for tourist to stay as visiting this uninhabited islands. The all undeveloped islands of Myanmar are covered by very beautiful virgin nature. To tour this untouched area is just only the dream in the part. Until now, JC TOUR had set up the Tour Package which travel to discover the Archipelago. Let the nature lovers from all around the world can visit and embed both Soul and Body into the Virgin Nature of uninhabited Island. We very recommend any one who love to see this unseen Island to read all the program and see the highlight pictures before submit the booking. Or call to 66-89 5727603 to ask all information. This number is 24 House Switched on. Both the upper the water or under the water, the nature world of this hidden Island is always top beautiful. All the tourist who had visited this island is always crazy on it. No one like to go back home. If you have the Adventure Spirit, we service for free of charge canoe (All the time) that you can paddle to find out the most beautiful corner or more interesting for snorkeling by yourself around the Macleod Island or to the other Satellite Islands. Coral Reef under the water is look like a safari; the safari or field of Coral. All kinds of corals - Brain, Sea Fans, Young Coral, Stone Coral, Sea Flowers, 7 Colors coral etc., you can sea all around the Macleod Island and Family Island. Fishes, All kinds of Sea Fishes, all kinds of Beautiful Marine Life, Variety Color Coral, Sea Fans, and Field of Sea Flowers. For sure, you will never miss hope if you love to see the real under water world. Just here!! We can guarantee. Macleod Island is the center or the heart of Mergui Archipelago, so the people can do so many the marine activities from the Island such as fishing by canoeing, Swimming, Snorkeling, Mountain Climbing to see the nice view of the bay or unlimited relaxing on the beach bar or on the whit sandy beach. Around the Macleod Island which is surrounding by the 804 Islands of Archipelago, you may love to use the local boat ( MoKen Gyp sea) to do local fishing style. It is for fun and do a BBQ at night. Or you may like to visit Moken Village at the near by Island. Away from the main land on the far Island in Andaman Sea, we can say that this is the unbelievable comfortable resort. Nice and cleanliness room, Sea view Room with Air condition and 24 Hours Electric supply. How come?!! We we can do this make you feel happy so much for this special holiday in mysterious place of the world. How to reach there? We service the customer for this package by the "Top VIP Private Minibus of Maxus: Pick up from Phuket, Surathani, Krabi, Khao Lak or Ranong and continue by the comfortable Speed Boat from Ranong to Khothong (A province of Myanmar) and continue to Mcloud by High Power Comfortable Speed Boat. 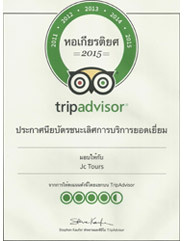 All in all, the staff of Jc.Tour will look after all the proceeding of getting in or getting out to the Myanmar. If you are ready to use something difference and special holiday for this year, just read all the program or call for more information 66-89 5727603 (24 Hours Switched On daily) Call now. 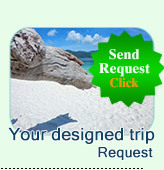 The "Top VIP Private Minibus will picks up from Phuket, Krabi, Khao Lak, Surathani or Ranong. And continue to the "Grand Andaman Club"
- Our staff at Myanmar's City arrange about the Document as well as Jumped the Passport. 12.00 PM - The speed boat leave from Khowthong City directly to Mergui Archipelago- Macleod Island. - Check In at Myanmar Sea Resort on Macleod Island. - Relaxing, Swimming and Start to d the snorkeling from Macleod Bay - in front of the resort. - Dinner served at the Beach Terrace Restaurant. - We served Breakfast at the Restaurant. - Back to the Resort. - Some one love to take the wooden boat or Canoe to do simple fishing around the Island for BBQ. - Or walk from the front side to the back side of the Island to see the other beaches (There are 4 beaches on Mcleod Island. - See all the interesting and beautiful point. 17.00 PM - One more time leave from you room for Trekking. - Climb up to the Mountain for take a great View Point of the Island. - Dinner will be served. - Check Out and Say Good Bye the "Hidden Heaven"
- The Speed Boat leave from the Island to Khowthong. - Arrival the Khow Thong Pier. - Continue the speed boat back to Ranong. 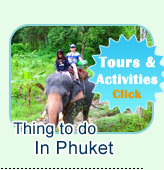 - VIP Minibus picks up from Ranong Pier directly back to Phuket, Krabi, Surathani or Ranong. Remarks: The trip provide to service from every Wednesday and Saturday. Half Day (3 Hours) Khow-Thong City Tour with Lunch.